Funded under the Cooperative ResearchCentre Projects (CRC-P) funding scheme, the Advanced Safe Truck Concept (ASTC) project brings together technology, research and operational expertise to develop an innovative driver state sensing concept for use in commercial vehicles. 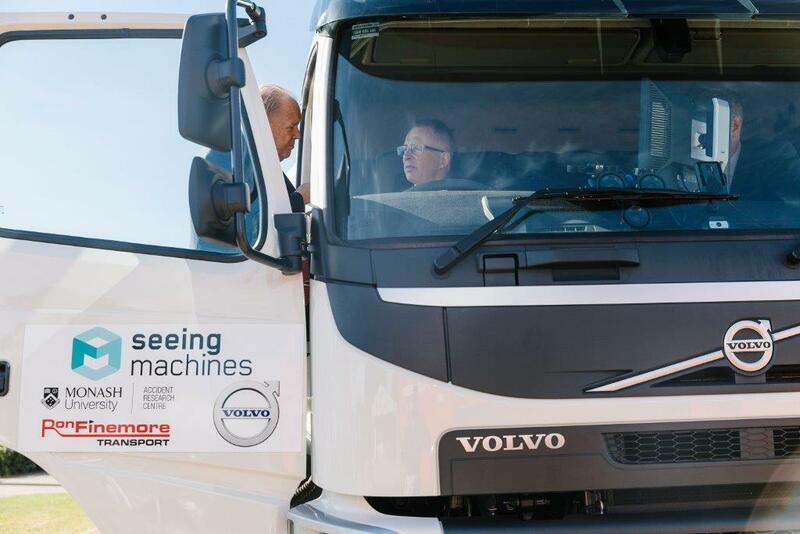 Along with our key partners Seeing Machines and Ron Finemore Transport, we’re working towards developing the intelligence that keeps truck drivers and road users safe through future driver monitoring technology. The heavy vehicle industry is a crucial component of transports systems and economies across the world. We recognise the need to keep the industry moving safely. Driver drowsiness remains a significant contributing factor to road crashes worldwide. The United States’ National Highway Traffic Safety Administration estimates there were an average of 83,000 crashes each year between 2005 and 2009 related to drowsy driving. These crashes lead to, on average, 37,000 injury crashes and 886 fatal crashes per year. Extensive data are being collecting using car and truck driving simulators. Combined, these will represent one of the largest and in-depth drowsiness datasets available. A MUARC truck simulator has been developed. This employs a full-size Volvo truck cab supplied by Ron Finemore Transport. It uses the same projection screens as the car simulator and the scenarios tested will be comparable. Will be Australia’s first naturalistic truck study, and the first worldwide to our knowledge to use driver monitoring technology. Ten trucks will be instrumented with the sensing platform described later for up to 6 months. This is estimated to generate over 30,000 hours of real-world data that is critical for technology development. 80 car drivers will be recruited from the Monash University Accident Research Centre (MUARC) simulator driver database. The third phase involves a mixed-method approach to develop new Human Machine Interface concepts for driver distraction, drowsiness and workload and subsequent iterative design and evaluation of these. See all photos from the launch day.